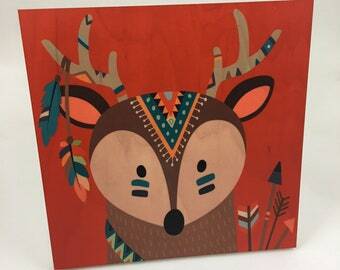 Woodland BearTribal style graphic art for cabin or nursery decor. Original graphic art creates this unique inspiring wall decor. Each image is infused using high heat technology into a solid wood 8" x 8",3/4 " thick wood plaque with slotted back for hanging or kickstand for free standing, the wood grain shows through piece and makes for a rich high quality art piece. 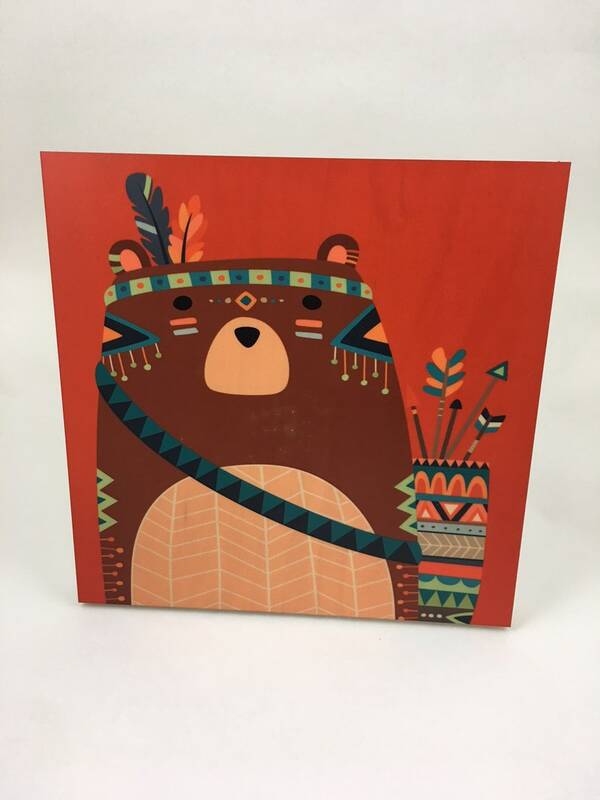 This colorful Bear is dressed to the tee in their finest tribal attire complete with arrows and quiver. Each 8x8 plaque comes protected wrapped and ships well packed and boxed. 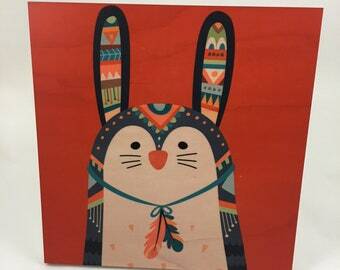 Look for other wildlife animals on my site to create a wall collage ! 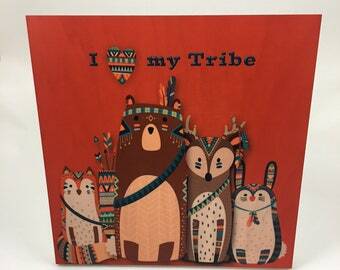 This listing is for one 8x8 Tribal wall plaque.